First, one fact must be clarified: Technically, a salt water pool is a chlorinated pool. 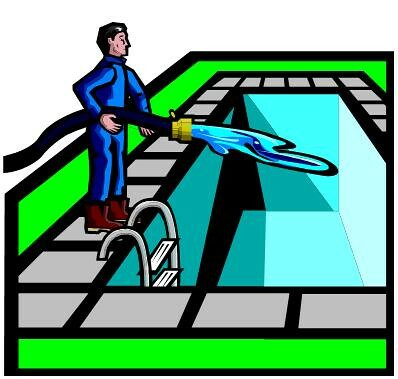 Instead of added chemical chlorine, however, a salt water pool incorporates a chlorine generator that uses electrolysis to convert salt dissolved in the pool to hypochlorous acid, a milder form of natural chlorine. A pump keeps pool water circulating through the generator so the electrolysis process produces a continuous flow of low-level chlorine. The chlorine content in a salt water pool is low enough that even people allergic to standard pool chlorine can often tolerate a salt water pool. In addition, other chemicals such as algaecides and stabilizers are not required. Salt is a natural algaecide, and the normal chlorine produced by a chlorine generator is more stable than artificial chemical chlorine. People unfamiliar with a salt water pool often imagine a swim in briny ocean water, with the taste of salt in your mouth and salty residue on your skin. Actually, it’s more like a dip in gentle, softened water. The salt content of ocean water is about 35,000 parts per million. In a salt water pool, it’s kept at around 3,200 parts per million. Typical seasonal maintenance costs of a conventional residential chlorinated pool average about $50 to $80 a month depending on location and use. Pool companies sell a monthly salt water maintenance kit for around $30. Upfront installation costs of a chlorine generator are higher than a standard pool pump and filter. The chlorine generator pump must be kept running 24/7. If the pump is turned off, expensive damage to the generator will result. Although most systems are engineered to be energy-efficient, you can expect some increase in utility costs. Regular maintenance is less intensive, but still vital. Salt must be added on schedule. 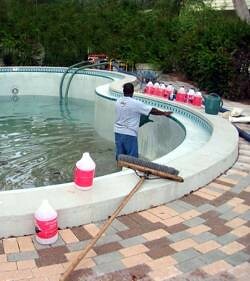 The pH of salt water pools can be less stable than conventional chlorine. It has to be monitored regularly, and acid must be added to bring it down if it exceeds the recommended level. Salt, even in the mild concentrations, is a natural corrosive. Metal handrails, ladders and other submerged pool components may be corroded by continuous exposure. The View From The Top: Skylights For Homes What Can Go Wrong With Curtain Walls?